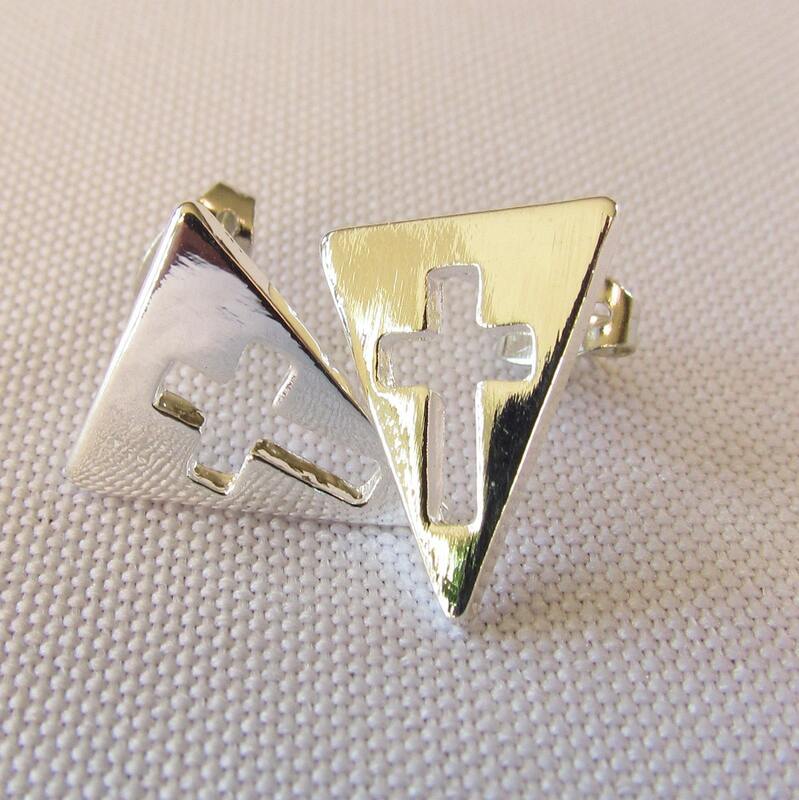 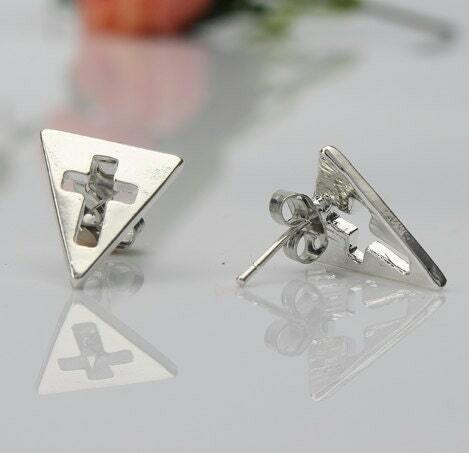 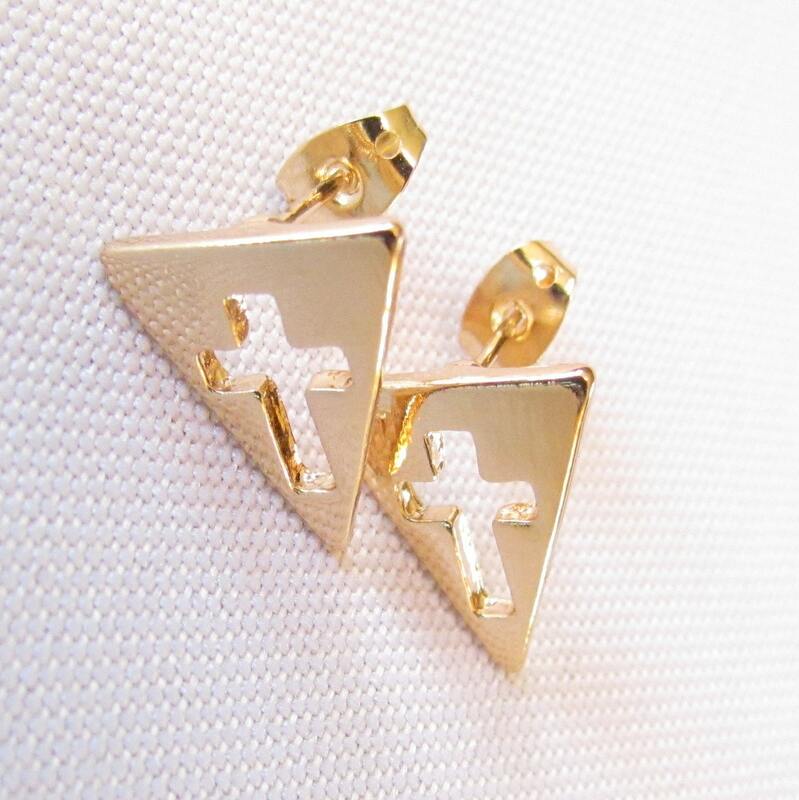 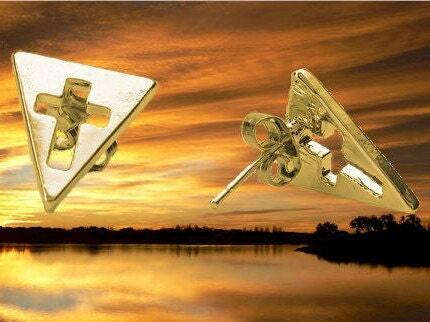 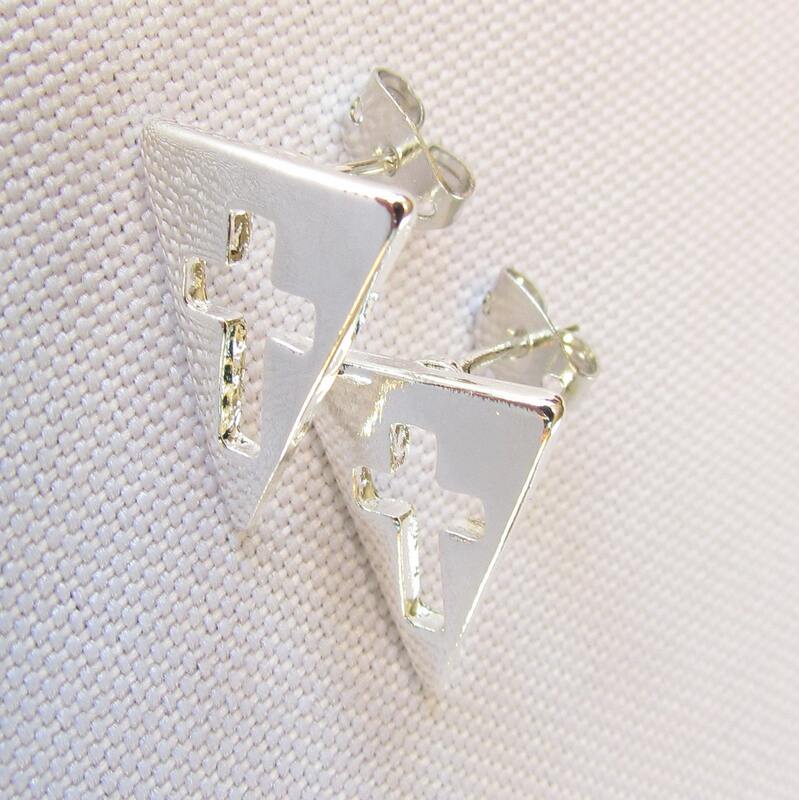 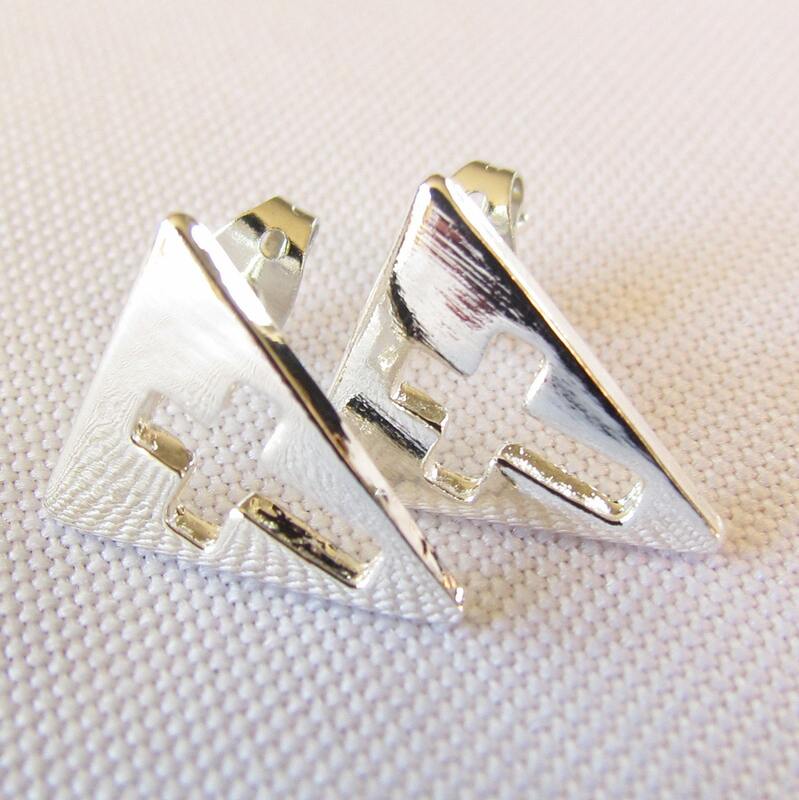 Tiny Silver or Gold plated Cast Stud Triangle Earring with a small Cross at the center. 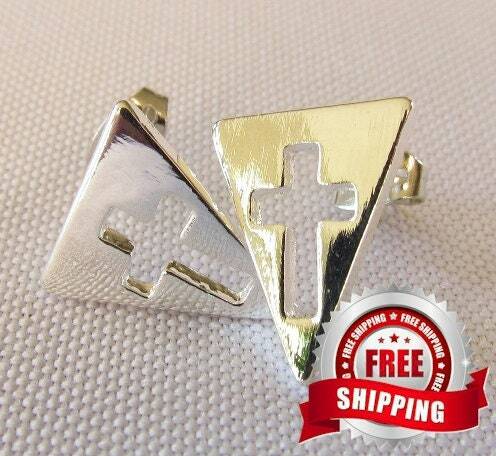 The Cross Design has a very modern look. 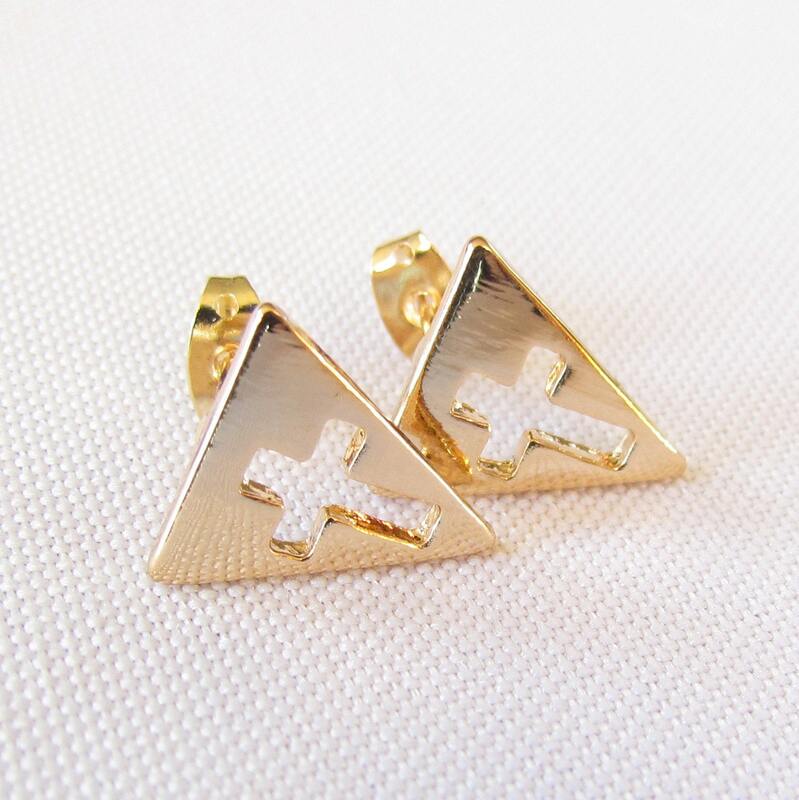 Each small Cross is only 1/2" length x 1/2" width. 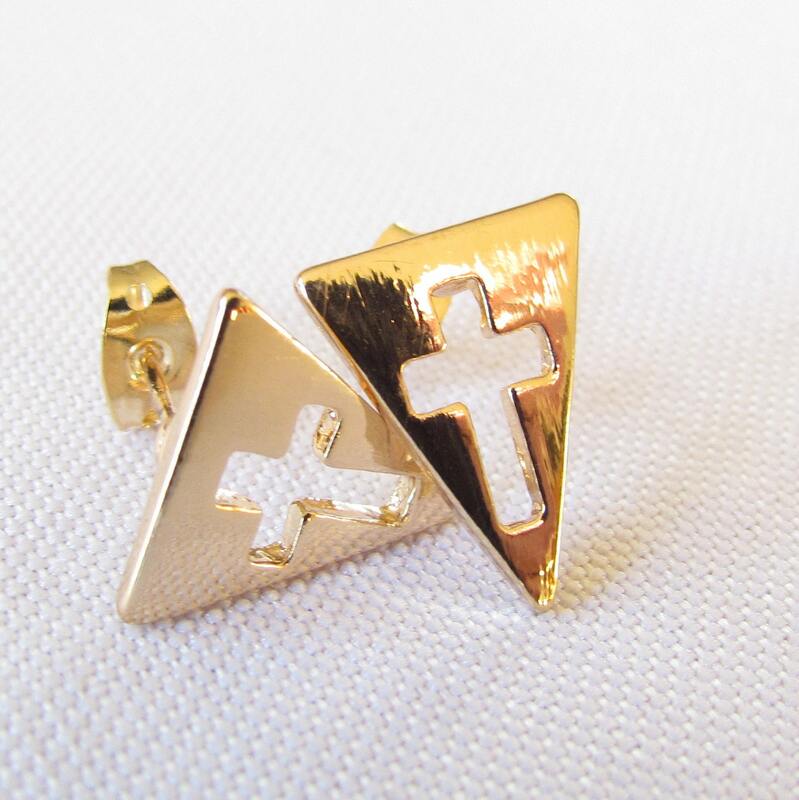 You will wear them every day!